This tutorial will show you an example of how to add BoldGrid as a Custom WordPress Package in Softaculous, as well as list it within Top Applications in the Softaculous end user interface. For a simpler integration with WordPress, you can install the BoldGrid Inspirations plugin in Softaculous. You will need root access on your server to complete this tutorial. You will need to login to your Hosting Administration Panel, then visit your Softaculous Administration Panel. 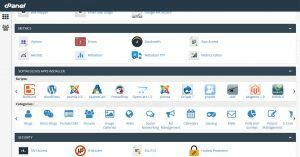 This step will be a little different, depending on the type of Web Hosting Panel you use. 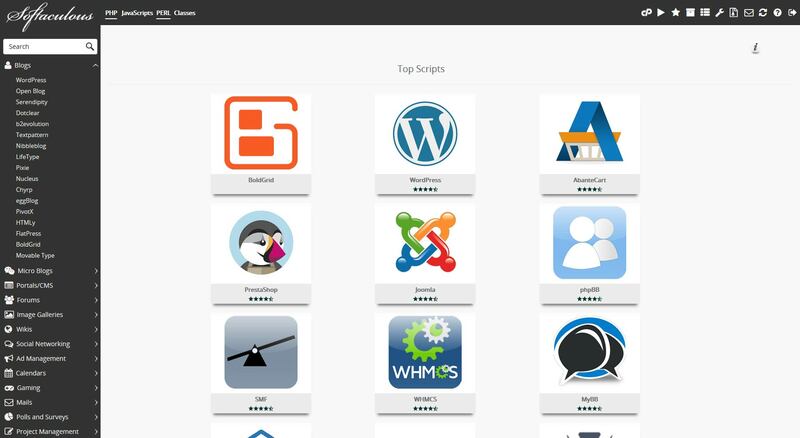 You need to ensure Softaculous is configured to pre-download WordPress. If yours is already checked, and running the most current version of WordPress, then changes would not be necessary here. 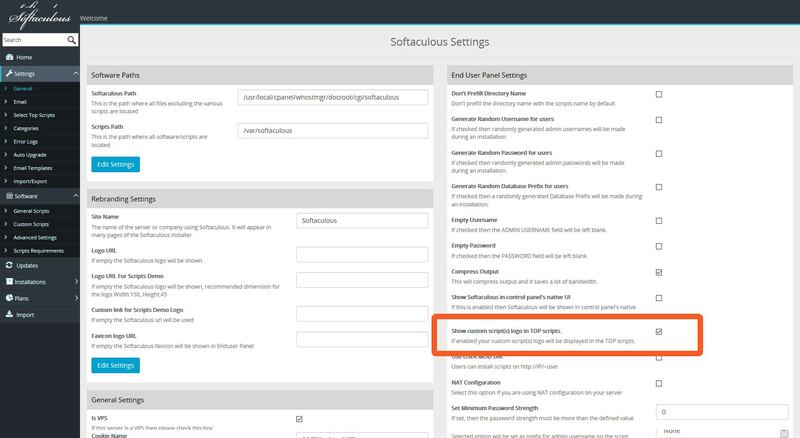 You can get the correct paths to both Softaculous and Scripts in the settings page, in your administration panel. 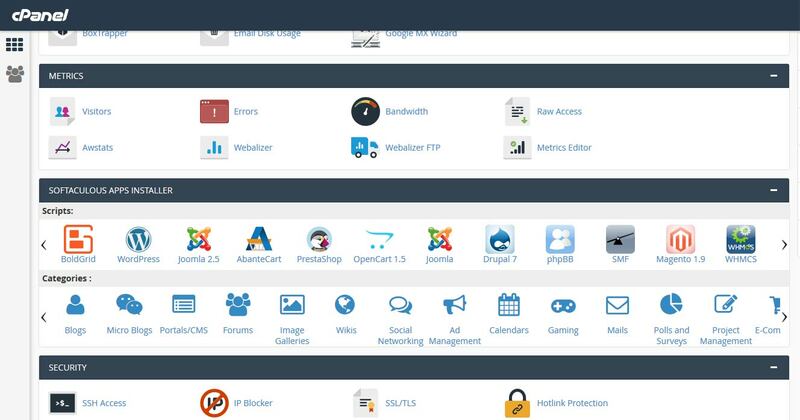 For the purpose of this guide, we will be using the default path from cPanel. 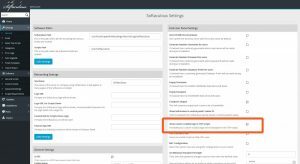 You can view the path needed for your current Administration panel, such as Plesk or DirectAdmin in the Softaculous Documentation. You will need to create a directory for your Custom package via SSH. 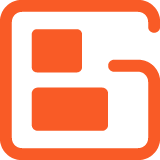 Copy the entire WordPress package to the newly created BoldGrid package directory. Navigate to the /var/softaculous/bgrid directory and inside you will need to unzip the existing wp.zip file, and add the following plugins and themes in the appropriate directory. Now ZIP the package up, and be sure the ZIP package contains the files directly and that they are not in a sub-directory. You can open the original wp.zip to see how that is set up for better clarification. You will also need to customize the XML files to ensure that the correct information shows in Softaculous on the end users side. There is a detailed explanation of each file in the Softaculous documentation. The logos are required to be a certain size, and named in a certain convention as well. We have provided links to the required sizes below, but you will need to ensure they are named correctly. When using the BoldGrid logo, you want to be sure to adhere to the BoldGrid Brand Guidelines. When installing a Custom Package within Softaculous, it will be given a script ID that begins at 10001. The icon files that you will place in the folders must be named that the same as the script ID that your Custom WordPress Package is assigned. After you have the BoldGrid Custom package set up in /var/softaculous/bgrid and the icons set up correctly in the TOPSCRIPTS folder, you then will want to add it to Softaculous as a Custom Script. Be sure to use the same package name we created earler (bgrid) , and Softaculous will automatically populate the icons for you.